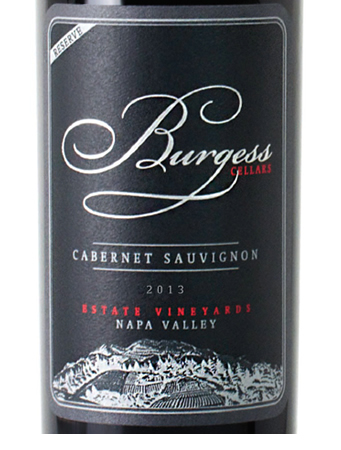 Burgess Cellars, located on the slopes of Howell Mountain in Napa Valley, focuses on creating hand crafted estate Cabernet Sauvignon, Merlot, and Syrah. 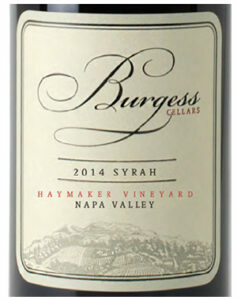 When Tom Burgess arrived in Napa Valley in 1972, the landscape was vastly different. At that time, there were only about two-dozen wineries in operation; Napa was by no means the wine Mecca it is today. Tom Burgess sensed great potential in the wild, rural land. After visiting different wine regions all over the world, he chose Napa as the place to pursue his dream of opening a family winery. The small, mountainside winery was built almost a century before Tom bought it. 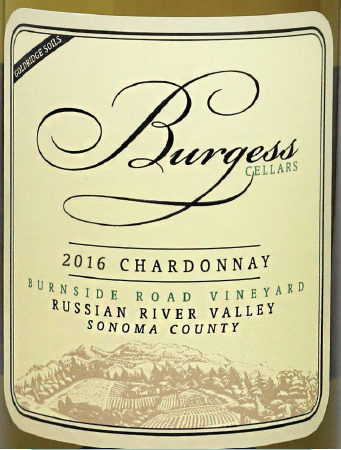 The family transformed it into Burgess Cellars with thousands of trips to the hardware store and lots of work. Tom Burgess was a pioneer because prohibition (1920-1933) had destroyed the Napa wine business and America’s food and wine culture. 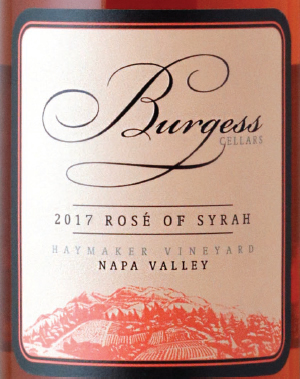 Since 1972, the Burgess family has worked to realize his vision – to create the very best handcrafted wines that are true to the food-and-wine model Tom fell in love with in the 1960s in Europe. 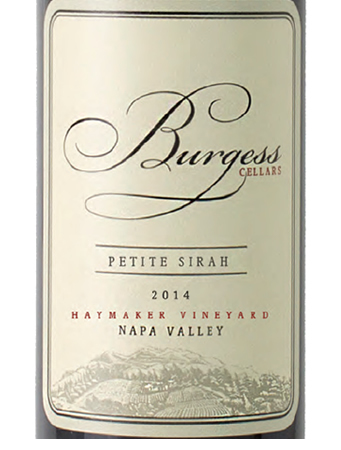 The French concept of terroir is at the heart of Burgess Cellars’ winemaking process. Tom Burgess and longtime winemaker Bill Sorenson follow the belief that in order to produce quality wine, the varietals planted must match the vineyard’s soil composition, sun and wind exposure, and overall micro-climate. 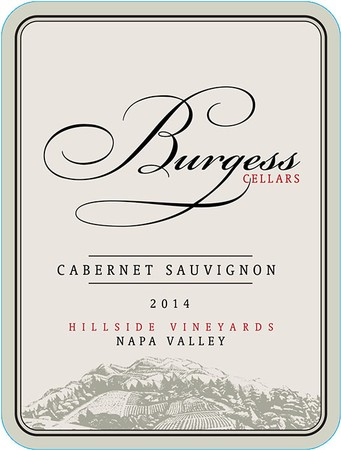 Burgess Cellars produces wines out of two distinct estate vineyard sites. Varietals planted: Cabernet Sauvignon, Cabernet Franc, Grenache. 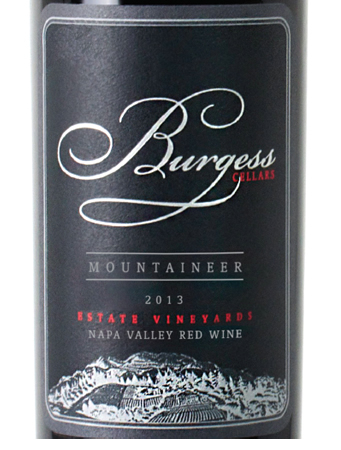 Characteristics: A Southwest-facing mountain vineyard in a frost-free belt between the valley floor and mountain top. Volcanic soil blessed by sun throughout the Vineyard day; with a 22% hillside slope. Varietals planted: Cabernet Sauvignon, Syrah, Petite Sirah, Petit Verdot, Malbec. 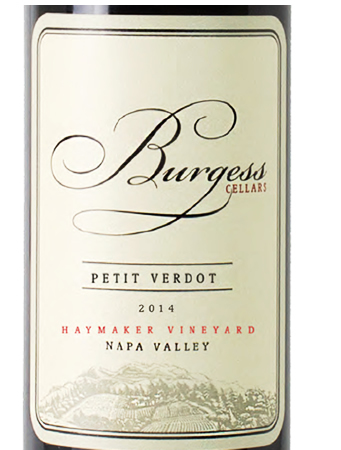 Characteristics: An Eastern-facing mountain vineyard, located in a frost-free zone between the valley floor and mountain top. Marine sediment soil with plenty of sunshine.